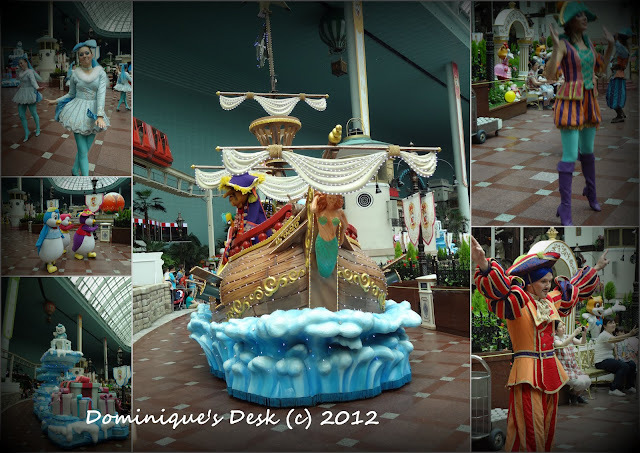 Last Monday we brought the kids over to Lotte World, Seoul. 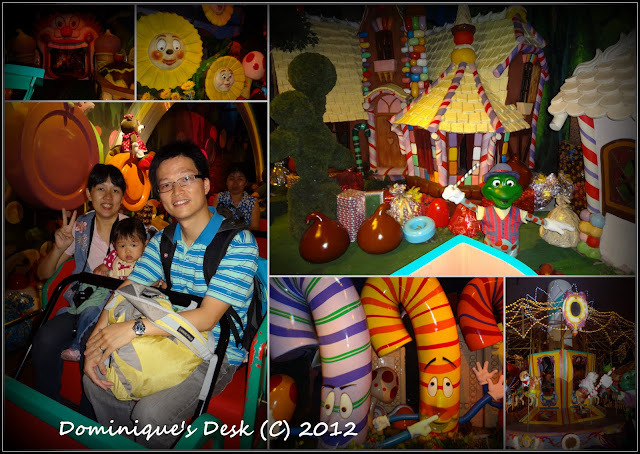 It was one of the places that was a must visit for the kids. I’ve hear a lot about this Theme park. I was certain that the kids would love spending the day there going on the different rides there. It has been a really warm summer and I am glad that half of the rides in this theme park was indoor and we had the cool air-con instead of the blistering sun to bear with. Bumper cars were the kids favourite ride. 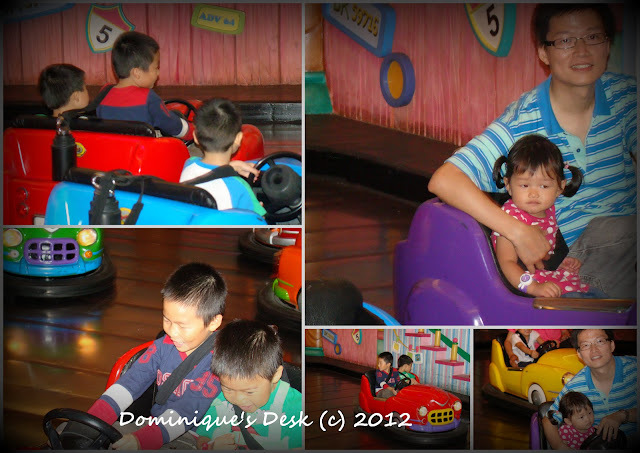 They had a few rounds on the bumper cars as one round was not enough for them to fully enjoy themselves. Even Tiger girl was raring to go on the car by herself but she had to be accompanied as she is still a tad too little to drive the car by herself. We went on a train ride through Wonderland where the kids and I went through rooms filled with candies, chocolates and other treats. It was really cool seeing Goldilocks and the three bears and other familiar characters from my childhood years. We managed to catch the daily parade where the floats and animals in costumes came out for their performance. The kids really loved seeing the Penguins dancing and the lights flashing on the floats. 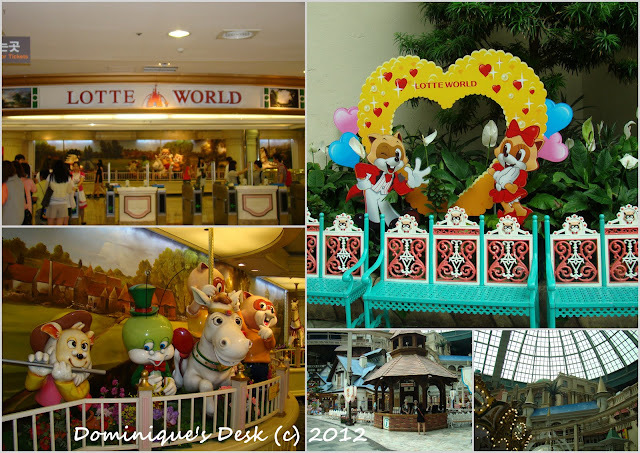 I’ll be sharing more pictures of Lotte world later this week in another post. I took nearly 800 pictures last weekend and am slowly sorting through all of them. Oh wow!! Those sure looked like a whole lot of fun!! I’m sure the kids enjoyed themselves. Glad you had a great trip, Dom! These pictures are absolutely wonderful! You can tell you were all having a great time, thanks for sharing! I may not understand the words, but I loved this song. The melody was great. Thanks so much for sharing. That looks like so much and the kids looked like they were having a ball. Love your video and song… I always look forward to coming to see your blog. Thanks for playing along today. That’s great about the theme park having indoor fun spread out so that families can enjoy the cool. Glad you all enjoyed it too! An indoor amusement? How cool is that?! It looks like you had a blast too. Fun summer song to go along with your fun day, too. I like your vacation picks and your song is great too. I of course had not heard them so, it was new to me.